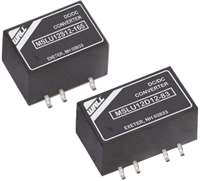 The MSLU02 series of DC/DC converters provides 2 Watts of output power in a miniature SMT package. These converters operate over input voltage ranges of 4.5~5.5VDC, 10.8~13.2VDC, and 21.6~26.4VDC. This series also has single and dual output voltages of 3.3V, 5V, 12V, ±5V, ±12V, and ±15VDC. The MSLU02 series’ impressive efficiencies enable these modules to deliver their fully rated output power from –40°C to +80°C without a heatsink or forced-air cooling. The very small footprint of these converters makes them an ideal solution for many applications where a voltage has to be isolated such as for noise reduction, ground loop elimination in digital interfaces, or where a converted voltage is required. 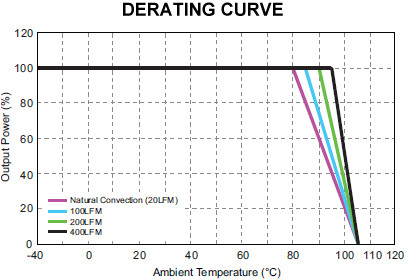 These converters are also fully qualified for the higher temperature profile used in lead-free reflow solder processes. These converters can also be supplied in tape&reel packaging for use in automated SMD production lines. 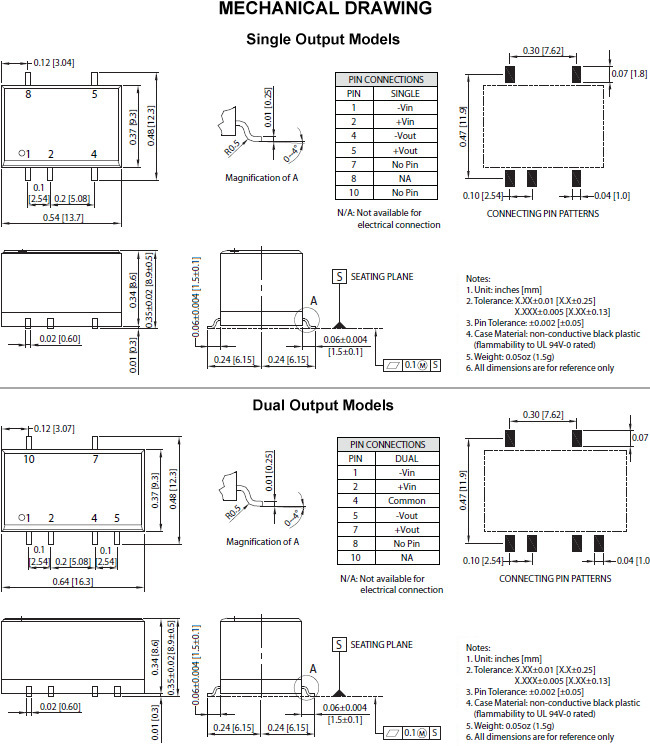 Isolation: Input to Output: 1500VDC min. Notes: 1. The MSLU02 series requires a minimum output loading to maintain specified regulations. Operation under no-load conditions will not damage these devices; however they may not meet all listed specifications. 3. It is not recommended to use water-washing processes on SMT units.